New Model Homes Now Open at Lennar's Western Enclave! PHOENIX - Feb. 20, 2019 - PRLog -- The wait is over! New models are now open at Lennar's Western Enclave and interested home shoppers are encouraged to stop by the Welcome Home Center and discover their dream home. This beautiful community offers a modern collection of single-family homes set within an amenity-rich masterplan in Phoenix near exceptional entertainment and recreation. Lennar makes finding a home that fits your lifestyle easy with a wide selection of floorplans available including the popular Next Gen® design for multigenerational living, plus new homes are outfitted with a host of Everything's Included® features. "We invite you to come out and tour our professionally-decorated model homes at Western Enclave showcasing open layouts, upscale kitchens, expansive owner's suites and much more," said Alan Jones, Division President for Lennar Phoenix. "In addition to smart floorplans, the upgrades and features buyers want come included as standard in every new Lennar home, such as home automation technology for a more modern living experience." 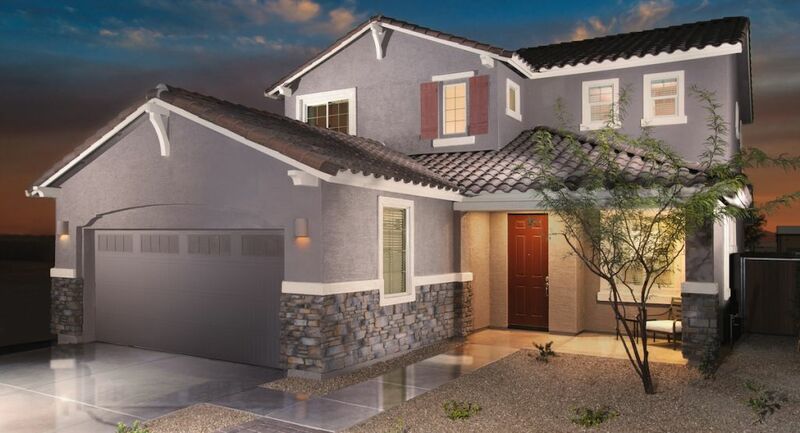 Western Enclave (https://www.lennar.com/new-homes/arizona/phoenix/phoenix/...) has introduced five new distinct single and two-story floorplans to choose from starting from the mid $200,000s. These spacious homes vary in size between approximately 1,800 to 2,903 square feet including three to five bedrooms and two to three and one-half bathrooms. Homes are designed to reflect the way people live today with open layouts and gourmet kitchens that make entertaining and connecting effortless, exquisite kitchen islands, covered patios for outdoor living, sophisticated owner's suites complete with spa-inspired bathrooms, spacious secondary bedrooms for the kids plus flexible spaces such as generously-sized lofts per plan. Two floorplans showcase Lennar's unique Next Gen® - The Home Within A Home® design for multigenerational or dual living. Available as a single or two-story home, this layout features a main home and a private suite that connect through a dual access door, allowing for as much (or as little) interaction between the two spaces. The private Next Gen® suite includes its own separate entrance, private living area with kitchenette, bathroom and bedroom with walk-in closet. The layout allows for the ultimate combination of privacy and togetherness, making it a suitable for grandparents, in-laws, live-in caretakers or adult children after finishing college. New Lennar homes also come fully outfitted with a high level of upgrades and sought-after features through Lennar's signature Everything's Included® program. From black appliances, high-quality cabinetry, home automation technology and much more, all is included as standard meaning no extra cost. When you call Western Enclave your home, exciting opportunities are nearby. The masterplan offers fantastic amenities for everyone to enjoy including a tot lot, picnic ramada, walking paths and open space. For sports enthusiasts, Western Enclave is minutes from the State Farm Stadium and Gila River Arena. Nearby is also the Westgate Entertainment District which offers a vibrant outdoor setting filled with national retailers, specialty shops, movie theaters, nightlife, events and a unique array of restaurants. It's all within reach from here! Prospective home shoppers are encouraged to visit the Welcome Home Center and tour the model homes located at 4548 N 91st Drive in Phoenix, just north of Indian School. For more information, visit www.lennar.com/phoenix or call 800-864-1058.